Have you faced this scenario when filing a VA Disability Claim or Appeal? You have a VSO – or another kind of advocate – assist you in filing a VA Disability Claim….years later, the VA grants you SOMETHING. Not all that you think you are entitled to, but something nonetheless. You call your VSO (or accredited VA attorney) to tell them that you think you are entitled to a higher Impairment Rating, an Earlier Effective Date, or service connection of another condition. * Be Happy with what you got – don’t rock the boat. * Appealing for extra benefits is going to delay your claim. * Appealing for the benefits you are entitled to is going to cause a reduction in what you are already receiving. Advising Veterans Not to File a VA Disability Claim or Appeal is Just WRONG. I hear this advice coming mostly from VSOs, but I have heard of a couple attorneys that give this same advice. This kind of advice from VSOs sounds like a Bobby McFerrin approach to life – while “not worrying” and “being happy” are admirable goals, they don’t really tell Veterans the RIGHT way to achieve happiness. Filing an appeal of a denied – or impartially granted – VA disability claim or appeal does NOT delay your claim. It’s already decided – what’s to delay!? And the VA is going to propose a reduction of your VA Disability benefits whether its right or wrong – whether you appeal or not. You know what’s REALLY delaying your claim? Click here to find out. There are several scenarios that would make such a proposed reduction unlawful – and a GOOD advocate is going to know how to help you fight unlawful or erroneous proposals to reduce your VA Disability compensation benefits. Second, it’s often bad advice. Veterans who are injured in the course of serving their country – in peacetime or in combat – are entitled to seek VA Disability compensation for the disabilities and limitations that result from injuries or incidents in military service to the country. Veterans should NOT be discouraged from pursuing entitlement to the FULL array of compensation and benefits to which they are entitled – under some illusive threat of reduction or delay. Third, it can cost Veterans a LOT of money. For example, when VSOs (or other well-meaning Veterans) tell us not to file appeals, but to seek “reconsideration” of a VA Ratings Decision (a process which does not exist), they are causing us to flush a lot of money down the toilet. 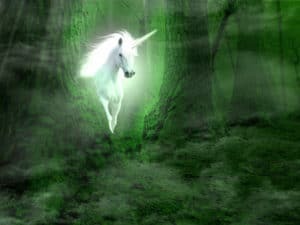 So, let’s correct this myth, and start from the beginning…. What Conditions Should you Claim When Filing a VA Disability Claim or Appeal? In my recent training module – “How to File a VA Disability Claim” – one of the very first topics I address is What Claims or Conditions should Veterans seek compensation for when filing a VA Disability claim. Here’s a 2 minute excerpt from that Training Video…. How do you know the Best Practices in Filing a VA Disability Claim or Appeal? * How to put together a Roadmap to your VA Disability claim. 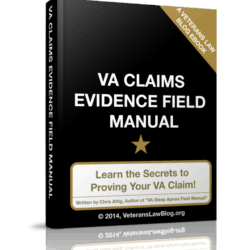 * HOW to use that evidence to present a persuasive VA Disability Claim that the VA WANTS to grant. * Much, much, much more…. 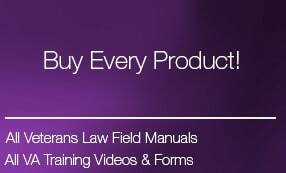 Learn more about the How to File a VA Disability Claim Training Module by clicking here. What are Veterans Saying about the How to File a VA Claim Training? I hope you read this story about a Veteran that used the How to File a VA Claim training materials to recover a substantial amount of past due benefits from the VA. If not, click on the link above and go read how the training changed that Veterans life forever. Then, read what another Veteran wrote in an email to me – I am getting emails like this every single week! First and foremost I want to “Thank You” so much for your generous support in helping novice Veterans like myself get a plain and simple layman’s terms of understanding of the convoluted VA Claims Process. It’s like you were summoning up the valid feelings of anger and frustration that all Veterans have felt in compiling VA Claims. But through that frustration, I’m glad that you provided Veterans a more productive way in our dealings with the VA. You said that “you can either argue WITH the VA or you can choose to argue TO the VA”. At that precise moment, it was like the light finally clicked on for me. Yes the VA in the past has tapped danced on my very last nerve getting my blood pressure up in the process. But no more. I vowed to be more vigorous in compiling my VA Claims information. It took me a day to read through “How to File a VA Claim” the first day that I purchased it. My initial train of thought that this was just another one of those Veterans self help claims books that I would closely mirror the current VA Benefits Handbook which is FREE put out by the VA. However, now that I’ve finished reading it for a second time, I’m totally in awe in what I have learned. First off — Here you have a Veteran who I can relate to me who has personally been through the trials and tribulations of dealing with the VA.
Chris, I have no doubt that you’re a hard worker. But the impressive information you have compiled here (and your other publications) certainly prove the old adage that “you are working smarter instead of harder in terms of dealing with the VA”. Talk about a lot of ‘aha’ moments. I had a lot as I read through this document. Inasmuch as the VA can be quite brutal and confusing, you also called out a lot of us Veterans on the carpet as well. Sometimes on our part it’s due to not knowing or unfamiliarity with the VA process. I too have heard some Veterans get all worked over with the VA, but they continue the insanity by continuing to repeat the same mistakes over and over again in hopes that they would get a different result. I’ve known Veterans who don’t know everything that’s in their own service medical records and they have the nerve to want to treat those very records like a FedEx package by dropping it off on their VSO desks for VSO to whip up some magic on. Thanks for having the courage to call us Veterans out on our stuff that can be detrimental to our VA Claims. 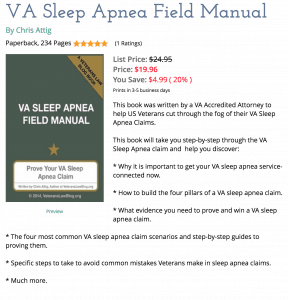 I am currently reviewing my current VA Claims using not only the “How to File a VA Claim” publication but the others that I have purchased as a reference guide to get me back on track. Your candor and experience is very much appreciated and because of it I will now keep “the main thing the main thing”. 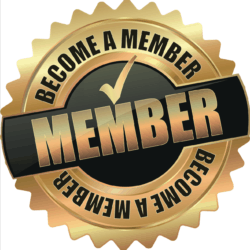 I also will pay it forward helping the next Veteran with the newfound knowledge I just obtain. I want you to know that I’m like a sponge soaking up all the concise knowledge that you have to offer. This training package is the Veteran’s “Bridge Over Troubled Water” and I can’t say ‘Thank You’ enough. I hope that each of you pursue the VA Disability benefits and compensation that you have earned and that you are entitled to …. be very wary of anyone that advises you to “quit while you are ahead”. Reintegration into civilian life after military service – peacetime or combat – is not a game. If you are entitled to disability benefits and compensation from the VA, keep after it until you get all of what you are entitled to! Chris, I used your guidance in preparing my Notice of Disagreement and for a DRO Hearing last Jan 2015. Just received a call from my VSO that my claim was being processed for 100% disability. I am a 75 yr old Vietnam veteran with 27 yrs service. Now have many complications relating to diabetes. Once I get the SOC and compensation ltr I can provide more detail if desired. For now just want to say thank you…with your help, avoided another denial. That’s GREAT news, Robert!! keep us posted on how it turns out – I LOVE hearing about the wins!